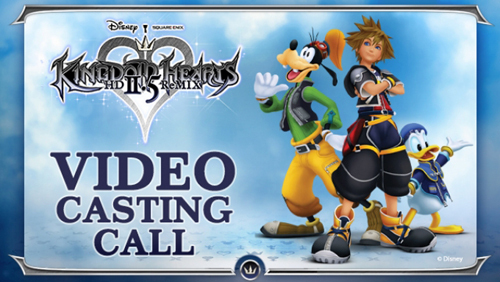 Square-Enix (North America) is hosting a video casting call in Los Angeles, California, in celebration of Kingdom Hearts HD 2.5 ReMIX. But how can one take part in this event? Are you excited for Kingdom Hearts HD 2.5 ReMIX? What would you like to say to the (KH HD 2.5 ReMIX) development team? What are you looking most forward to (in KH HD 2.5 ReMIX)? Why/when did you start playing Kingdom Hearts? What does Kingdom Hearts mean to you? Who is your favorite character in the Kingdom Hearts series? What is your favorite Kingdom Hearts moment? Do you have a favorite Kingdom Hearts song? What is your favorite Kingdom Hearts game and why? If you get selected, would you like to attend the day slot (taking place from 10am to 2pm), or the evening slot (taking place from 3pm to 7pm) on Saturday, September 6th, 2014? After reviewing each entry before September 6th, 2014, the Kingdom Hearts team will contact the selected entrants to take part in this extravagant event! What do you folks think of this video casting call? Will you take up the challenge to be a true Keyblade Master? Let us know in the comments below!